Accessing iPhone files on Mac is deemed impossible by many iPhone users. This view is borne out of the fact that iPhone files are not intended to be seen outside the device. However, there are some ways that can be used to access these files on your Mac. Let us look at them. There are many file managers in the market in the form a software program that many iPhone users use for this purpose. However, the best one we can recommend, which you might have heard about, is iMyFone Umate Pro or iMyFone Umate Pro for Mac. What makes Umate Pro to stand out? Alright, let us look at how you can use it to view iPhone files on your Mac. 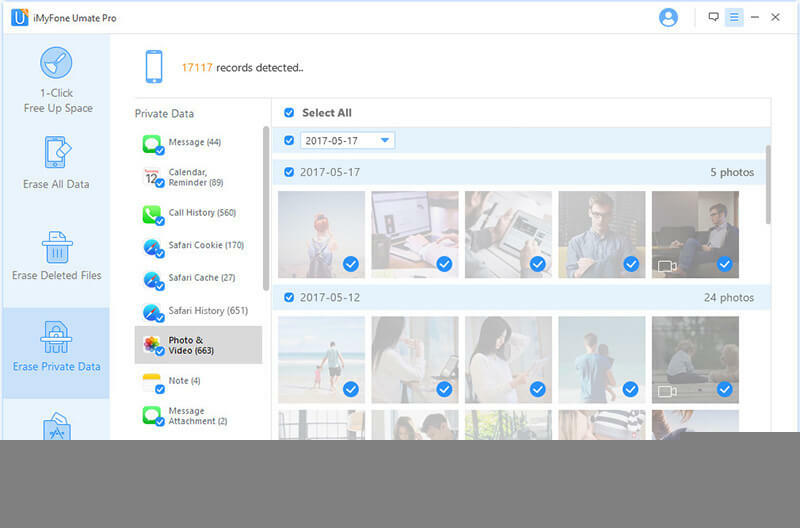 Media and History: Videos, photos, call history, Safari history, and chat historycan be accessed too with the help of iMyFone Umate Pro directly on Mac. Third-Party Apps: Accessing third-party apps like WeChat, WhatsApp, viber, kik and their attachments are very easy with this program as well. Step 2:	With a cable, connect your iPhone to the PC. Step 3:	Start scanning by first choosing an erase mode. Step 4:	When the scan analysis result is shown, you’ll be able to view them on Mac. Your photos and videos can also be exported to PC. Step 5: If you want to permanently erase some data, please select the files and click Erase Now. 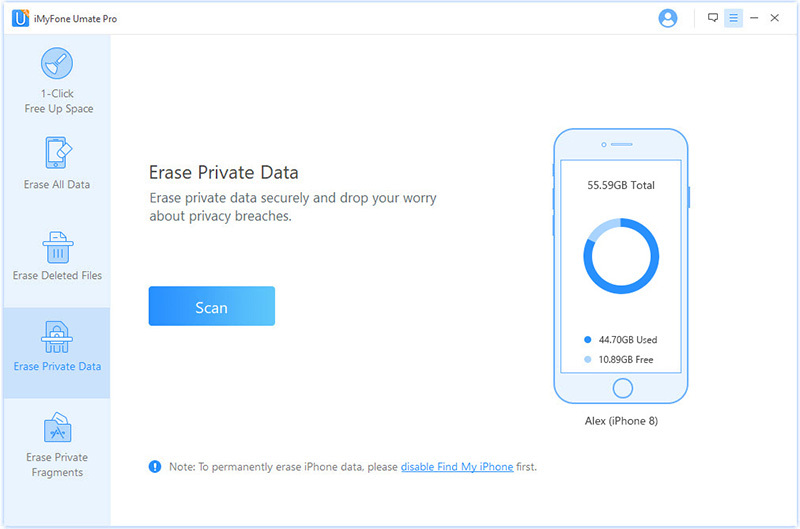 Umate Pro can effectively erase any iOS file you have deleted but which may still be on your iPhone device. In fact, most (if not all) files or data that you deleted can be recovered with recovery tools. However, Umate Pro erases those data permanently with no chance of recovery. 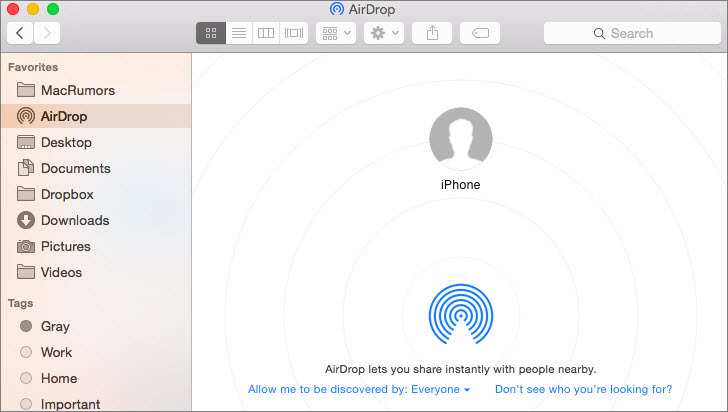 AirDrop is one of those file sharing applications that makes it easy to quickly and easily transfer files between iPhones, iPads, and Macs. In addition, AirDrop relies on Bluetooth LE to broadcast, discover, and negotiate connections, and point-to-point Wi-Fi to transfer files to Mac. You will have to enable AirDrop by swiping up once and again. Both Wi-Fi and Bluetooth must be turned on before you can use it. Cloud service providers like Dropbox and others can also be used to access iPhone files on Mac. Dropbox allows you to create and share files from your iPhone. Photo, videos, personal data, etc. are some of the data that can be accessed on iCloud. The same applies to other Cloud services. 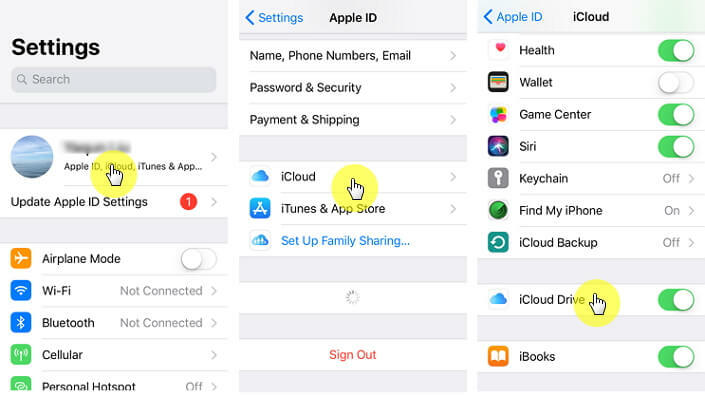 Not to be left out is unlimited storage space offer by iCloud to iPhone users to secure their sensitive data. iCloud Drive provides enough storage space and backup for all your files. iCloud Drive is widely used because it can help you safely store all your presentations, PDFs, spreadsheets, images, and any other kind of document. All of these data can be accessed right from your iPhone and Mac. iTunes file sharing solves the problem of accessing a file on iPhone. Since iPhone has no file system that a user can access, using iTunes file sharing makes it possible to access iPhone files and copy them to Mac. With iTunes file sharing, it also possible to copy files from Mac to iPhone.